Coastal Oysters was started by Rose and Ian Crisp in 1985. They purchased five bare oyster leases in the Manning River and over the following years built the business up to where it is today. 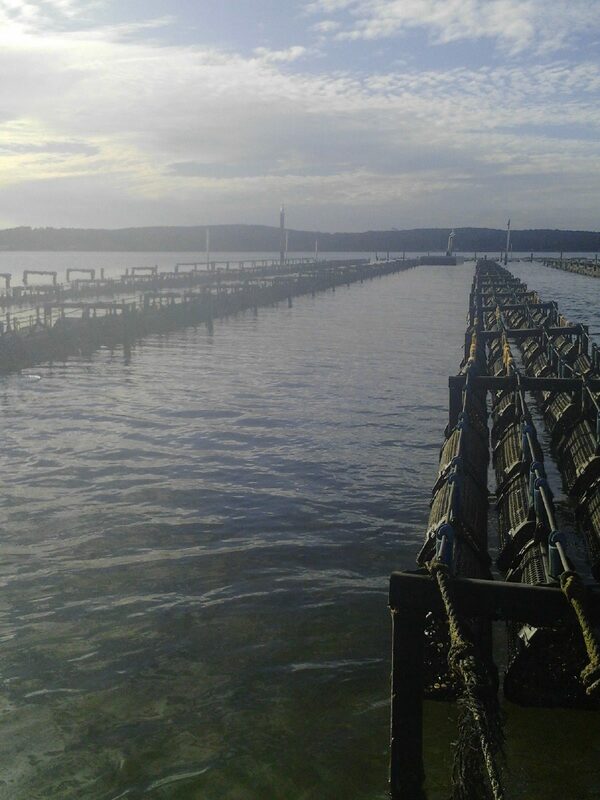 With their processing shed and land base only two minutes off the freeway north of Taree, Coastal Oysters is perfectly positioned for easy transport north and south. Continued below…. Rose says “We now own and operate leases across three NSW estuaries; Camden Haven where we catch and grow out for 12 months; Manning River where the 12 month old oysters are moved to for a further 14 to 18 months to grow out, and Port Stephens where the oysters are moved one final time to the legendary Corrie Island lease for final fattening and finishing prior to harvesting”. (Corrie Island is renowned for producing beautiful sweet salty fat oysters). Coastal Oysters is still expanding and in the last two years Ian and Rose have purchased additional leases in the Manning River and Port Stephens. “We will be continuing to bring innovation and new production techniques into our business and we look forward to a great future with Blue Harvest” says Ian.